American authorities are planning a broad new campaign against terrorist financing networks in Afghanistan, sending in dozens of federal drug enforcement agents to help stem the country's massive opium trade, the Associated Press has learned. The surge of narcotics agents, which would boost the number of anti-drug officials inside Afghanistan from a dozen to nearly 80, would bolster a strategy laid out last week by the Obama administration to use U.S. and NATO troops to target "higher level drug lords." Detailed plans described to members of Congress behind closed doors earlier this month suggest the effort will be modeled after the federal Drug Enforcement Administration's campaign against drug cartels in South America. Rep. Adam Smith, D-Wash., who chairs the House Armed Services terrorism subcommittee, said the DEA's effort is aimed at crippling the Afghan narcotics networks by driving up the costs of the opium trade. "Any financing effort is really going to focus on the drug trade and the DEA is going to have to play a key role," Smith said. Unveiling his new strategy for Afghanistan last week, President Barack Obama said the country's economy "is undercut by a booming narcotics trade that encourages criminality and funds the insurgency." As the U.S. beefs up its military and civilian presence there, Obama said officials will track the growth of the Afghan illicit narcotics production as one measure of the administration's progress. The strategy review called the drug trade the major driver of corruption in Afghanistan, and said allied forces must support local counternarcotics efforts to destroy drug labs, equipment and caches. It also urges efforts to identify other agricultural programs for Afghan farmer to replace their dependency on the illegal drug trade. The DEA aims to complete its expansion inside Afghanistan by later this fall, building a team of nearly 80 agents and some additional analysts, said Michael Braun, who was DEA's operations chief until late last year. "We are undergoing a significant increase there as we speak," said Braun, now managing director of an international security consulting firm that works with U.S. authorities in south Asia. Braun said proceeds from the drug trade in Afghanistan have allowed the Taliban to flourish. There are also indications, he said, that al-Qaida is heavily involved in Afghan opium trafficking. Afghanistan is the world's largest producer of opium, the main ingredient in heroin. The Afghan drug trade accounts for 90 percent of the worldwide production. The U.N. estimated last year that up to $500 million from the illegal drug trade flows to Taliban fighters and criminal groups. The ramped-up drug effort in Afghanistan is similar in structure to a 2005 U.S. program in Iraq that targeted terror networks funding the insurgency in Iraq. The Baghdad-based effort, led by Pentagon and Treasury officials, collected and analyzed intelligence on terror financing and the flow of weapons and fighters into Iraq. The multi-pronged approach used Treasury Department sanctions against organizations, assets freezes and orders banning financial transactions. Matthew Levitt, a former Treasury and FBI official and now a terror financing expert at the Washington Institute for Near East Policy, told lawmakers that insurgencies can be disrupted when their financing networks are targeted. As core leaders of al-Qaida and other militant groups are less able to finance cells in other regions, those insurgent franchises may become more localized and easier to track and control. The new Afghanistan anti-drug effort will also hone in on money flow, but it will concentrate on the money laundering operations used by drug dealers. The effort will trace both high-tech operations like offshore banking and cell phone transfers and more informal operations like the hard-to-penetrate hawala money-brokering system that flourishes in the Islamic world. Defense officials declined to reveal details of the new Afghanistan program, and instead met with lawmakers in a closed session to provide additional information. Smith said he told Defense Department officials in the closed session that he was skeptical that the DEA's successes against drug cartels in Colombia and other Latin American countries could be duplicated in Afghanistan, where the drug trade is a dominant part of the economy. "I think it's going to take more than just imagining that they can eliminate the poppy crops in Afghanistan," said Smith. "It's going to take economic opportunity and a comprehensive development strategy to create alternatives." The new Obama administration initiative follows previous efforts by the Bush administration and NATO to target Afghan drug lords and laboratories. 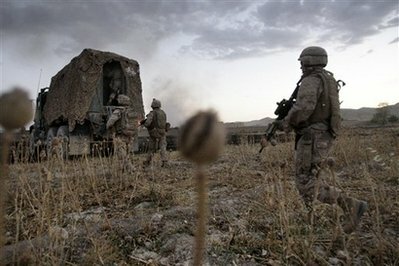 The previous American push was met with resistance from U.S. allies, who were concerned about putting their troops at risk in encounters with Afghan drug rings. A new report last month said that Afghanistan's production of opium poppies will likely decrease in 2009. But cultivation of the illegal crop remains entrenched in the southern provinces, the heart of the Taliban insurgency and the region where thousands of newly deployed U.S. troops will launch combat operations in the coming months. Ahh, there must be a good crop coming in this season. They need extra help harvesting. related: Don't Forget Yugoslavia! Bush AND Clinton need to be tried for warcrimes! Shortly After April 9, 1994: Bin Laden Travels to Albania, Meets with Government Officials Bin Laden visits Albania as a member of a Saudi government delegation. He is introduced as a friend of the Saudi government who could finance humanitarian projects. Yet, earlier the same month, the Saudi government supposedly cut all ties with bin Laden (see April 9, 1994). After 1994-1999: CIA and Bin Laden Train KLA in Albania In 1994 Albanian Premier Sali Berisha reportedly helps bin Laden set up a network in Albania through Saudi charity fronts after bin Laden visits Albania (see Shortly After April 9, 1994). Berisha later uses his property to train the KLA militant group. Then I came across a piece written in 2000 by Michael Ruppert of Beyond the Wilderness, that broadened my inquiries as the article links Kellog Brown and Root, a subsidiary of Halliburton to the worldwide distribution of drugs via the global network that Halliburton owns or operates on behalf of the US government and various corporations including major oil companies. A network that evolved over time initially through the CIA's connection to the drug trade in the Golden Triangle but which has its roots in Nazi Germany over thirty years earlier and its connection to US big business. And in the post-war period, Brown Brothers Harriman were also involved in laundering Nazi money through a Dutch-based bank. The KLA has always been the armed wing of this Albanian Mafia. Its humiliating defeat at the hands of the Serbs was rather embarrassing for the United States. It was bad enough that the KLA was so lousy at fighting. Despite their sophisticated weaponry they could not stop 40,000 Serb regular and paramilitary forces from throwing out, in a matter, of a few weeks, 800,000 Albanians. But at least they could pay for their weapons. Without the heroin money, however, they would no longer even be able to do that. NATO had to intervene. (NATO/Soros) It could not allow such a lucrative business to slip through its fingers. The Balkan Route starts at the poppy fields of Pakistan and Central Asia, goes through Turkey and ends up in Western Europe. Yugoslavia's collapse into civil war in the early 1990s meant that heroin traders needed to find a more secure route. The heroin now went through Albania. Using the overland route drugs travel from Turkey to Greece and then to Macedonia. Albanians then transport the drugs by truck to the ports of Vlore and Durres [in Albania]. From there it is ferried by small craft either north toward the Dalmatian coast [Croatia] or across the Adriatic to Italy. Then it is taken to Germany and Switzerland. The respected Jane's Intelligence Review recently reported: "Albania has become the crime capital of Europe. The most powerful groups in the country are organized criminals who use Albania to grow, process, and store a large percentage of the illegal drugs destined for Western Europe... Albanian criminal gangs are actively supporting the war in Kosovo." "Heroin represents the highest value contraband flow and, since the mid-1990s, ethnic Albanian traffickers have been said to control the trafficking of this commodity west into Europe ... Past estimates suggested that ethnic Albanian traffickers controlled 70 percent or more for the heroin entering a number of key destination markets, and they have been described as a â€˜threat to the EU' by the Council of Europe", it says. Nevertheless, the report said that "the single most notorious Balkan organized crime phenomenon - the role played by ethnic Albanian traffickers in West European heroin markets - appears to be in decline". It added that "Kosovo is extremely vulnerable to organized crime and thus to money laundering". The report also said that "only in Kosovo does the economy remain stagnant. Kosovo has the highest unemployment rate in South East Europe. The average salary is just 200 euros per month. There is 50 % unemployment, higher among youth, women and rural people. According to the Ministry of Finance and Economy, households in Kosovo receive more money from remittances than from work. More than half of the people live in poverty, and 30 percent live just above poverty line", the report said. 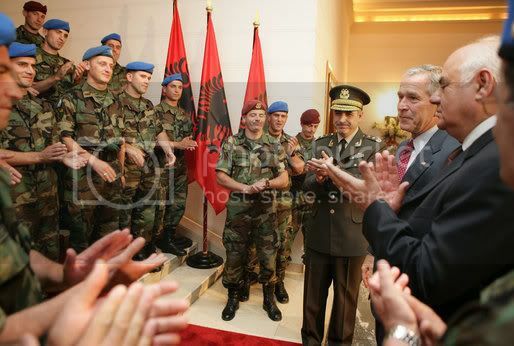 President Bush is given a hero's welcome in Albania. This is the first visit ever of a serving president of USA to visit Albania and will be remembered long time, even though it only lasted eight hours. Albania is the only country where no one has seen any protests against USA or the President. Some even say the Albanians are the most proamerican people on the planet. This is not a hoax. This is a real deal and there is a reason for it. Why Albanians love Americans? 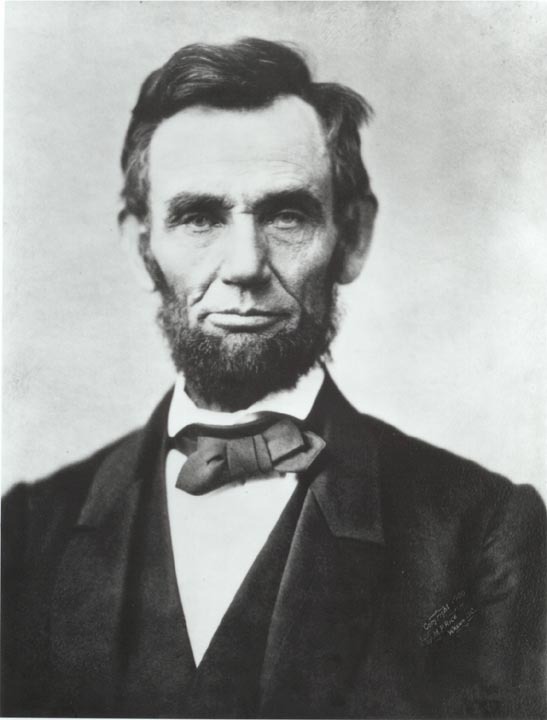 Simply because americans are a freedom loving people and they showed this love in practice many times in the history of Albanians (and other small nations) by defending the Albania's right to exists as a state despite the appetite of many world powers and neighboring countries to carve and erase the country from the map. e.g. USA's President Wilson in 1919, at the Paris Peace Conference, was a crucial voice that saved Albania from being ceased as a state. Also in a more recent case, in 1999, it was USA and United Kingdom (leading) that saved kosovar albanians from being extinct by the killing machinery of Serbia. Therefore, the actions of the american people speak very loud about their just intentions towards small nations like Albanians. And remember, Kosovo had no oil worthy of such intervention in 1999! You americans should be proud of your soldiers who risk their own life to bring peace and stability to the world. They need your support! Albania as a state had its ups and downs in relations with USA, but after fall of communism in 1990 (something that America and Bush Senior again helped to get rid off), since then, Albania and albanians are back on track to drive forward a lasting relationship with the american people. We urge the american government to be more involved in Albania and Kosovo, to work closely with Albanians and deter potential involvements of radical islamists who may want to exploit new democracies like ours, by offering the very much needed financial incentives, but with a high price in return. We are aware of this, but we need your help! Albanians are a nation that will long remember your sincere attitude and support in our cause to freedom and democracy. Albanians stand united with Americans in the War on Terror! If you are told different, don't believe them! They are all ill wishers and they'll do anything to convince you otherwise! SUPPORT INDEPENDENCE FOR KOSOVA! TIME IS NOW! Get to Know Your Albanian National Anthem! George W. Bush, aka The Man Who Would Be King was embraced by the people of Albania with the kind of touchy-feely love often reserved for leper healers. But what is Albania? Well, for starters, it's a place Albanians sing about! "The Vienna based UN Office on Drugs and Crime estimates that the 2006 harvest will be of the order of 6,100 tonnes, 33 times its production levels in 2001 under the Taliban government." And this was 3 years ago. What is it producing now!? Afghanistan is the world's largest producer of opium, the main ingredient in heroin. The Afghan drug trade accounts for 90 percent of the worldwide production. Wow 90 percent of the worlds Heroin comes from Afghanistan? Now I see why we are over there "Fighting Terrorist"
Notice the drastic drop in 2001. The invasion of Afghanistan didnt happen until October 7, 2001. It appears that the Taliban cut production probably near the end of 2000 as 2000 was lower than 1999. That dip is the result of a change of ownership in late '01/02. Ethnic Albanian criminal gangs continue to pose a serious security threat, dominating the transit and supply of heroin to Switzerland, warns a federal police expert. Three members of the same Kosovo family are currently on trial in Switzerland accused of operating one of Europe's largest heroin wholesale operations. Prosecutors say the 69-year-old father and his two sons, aged 42 and 28, used their base in the southeast European country to import 1.5 tons of heroin from Turkey for sale elsewhere. "[The clan] has been one of the principle suppliers of heroin in western Europe since the middle of the 90s," the prosecution claimed. The defendants deny all charges. They went on trial in Switzerland because the brothers lived and worked there. A verdict by the Federal Penal Court in Bellinzona is expected at the end of October. According to Roger Flury, an illegal drugs expert at the Federal Police Office, the seizure was very significant, even though it was split between different countries. "1,500 kg - that's between 25 to 50 per cent of what people consume in Switzerland in one year," he told swissinfo. In its 2007 internal security report published in July the federal police said that "criminal organisations from southeastern Europe" played a "significant role" in Switzerland. These internationally interlinked groups were involved in numerous criminal activities including drug and human trafficking, migrant smuggling, extortion, prostitution and money laundering, it stated. According to the Vienna-based United Nations Office on Drugs and Crime (UNODC), Switzerland has historically been singled out as one of the countries most affected by ethnic Albanian heroin trafficking, due to the large expatriate population. There were an estimated 94,000 Albanian-speakers in Switzerland in 2000. In the late 1990s, Albanians were blamed for trafficking some 70 to 90 per cent of Switzerland's heroin supply into the country. "The influence of ethnic Albanian criminal groups is still very strong, especially in the heroin market, and it's not abating," said Flury. "The vast majority of heroin sold in Switzerland still transits via ethnic Albanian groups." Other criminal groups involved in the trade in Switzerland are from Turkey, Croatia, Serbia West Africa and Iraq, he added. But Theodore Leggett, author of a UNODC report entitled "Crime and its impact on the Balkans", felt the importance of ethnic Albanian criminal gangs was waning. "They had a period of unprecedented access to European markets in the 1990s and early 2000s and took advantage of that, and others took advantage of them, but stopping speedboat traffic to Italy had a big effect. I don't think they're competitive [in the] long term," he told swissinfo. Ethnic Albanian criminal gangs built up a reputation as effective traffickers as they were violent and clannish with a language nobody else could understand and had an honour code similar to the Sicilian mafia, explained Leggett. "But I don't think this makes for a very competitive drug trafficking group in the long term, as violence attracts unwanted attention. What tends to happen with these Albanian crime groups is that they build up to a certain level, then they shoot each other over an honour issue, which undermines their place in the market." Southeastern Europe lies along the most conventional route - the so-called Balkan route - between the supplier of some 82 per cent of the world's heroin, Afghanistan, and its most lucrative consumer market, western Europe. Today the Balkan route has split in three â€“ a northern path (Afghanistan-Pakistan/Iran-Turkey-Bulgaria-Romania-Hungary), a central, original path (Afghanistan-Pakistan/Iran-Turkey-Bulgaria-Former Yugoslav Republic of Macedonia/Serbia-Bosnia and Herzegovina-Croatia-Slovenia-Italy) and a southern route (Afghanistan-Pakistan/Iran-Turkey-Bulgaria-Macedonia-Kosovo-Albania-Italy). It is estimated that about 100 tonnes of heroin crosses southeastern Europe every year on its way to western Europe, of which 85 tons eventually makes it to the consumer, a flow estimated at $25-30 billion, says UNODC. Switzerland has a small domestic market. It's not a traditional redistribution point, like the Netherlands, but more a transit country, with traffickers taking advantage of the land and air connections. "The Swiss police are quite good in stopping the stuff and make a lot of seizures, but it continues to be a place that a lot of traffickers favour," said Leggett. Despite a stabilisation in the world drugs market, in June the UN sounded the alarm about the recent surge in drug supply from Afghanistan, which may drive addiction rates up. "We don't know exactly where this surge in heroin supply is headed. There's a belief that it's being stockpiled â€“ getting banked," said Leggett. But according to the Swiss police, Switzerland is already feeling this increase. Consumption is stable in Switzerland, but with decreasing prices and increasing purity levels, which are worrying indicators," confirmed Flury. In 2007 seizures of heroin by Swiss police rose to 300kg from 230kg in 2006. Furthermore, now you know why Kosovo's "independence" ... read its actually coerced U.S./EU secession from Serbia and terminal ruination, is so heavily promoted by the U.S. government and its colleagues in the EU. The machinations of the Kosovo Albanian drug mafia was amply documented at the time of Bill Clinton's Serbia/Kosovo bombing and thereafter. As former Colonel in counterterrorism and historian, Richard Maybury often affirms in his magnificently instructive Early Warning monthly report, the U.S. nation is completely separate from its government: "It's government is as crooked as a dog's hind leg." BBC Monitoring, Channel One TV, Moscow, in Russian Sun, 10 Feb 2008 Russian state TV suggests USA involved in drug-trafficking from Afghanistan. Russian state-controlled Channel One TV has broadcast a report containing allegations that US forces are involved in drug-trafficking from Afghanistan to Europe. It also highlighted the problem of drug abuse in the British army. The channel's weekly news roundup "Voskresnoye Vremya" on 10 February noted that, according to the UN, the amount of opium being produced in Afghanistan has more than doubled since the coalition troops entered the country. The report went on to show former UK Prime Minister Tony Blair visiting the country at an unspecified time. It said that he had met almost 800 British troops during the visit. "This is either a coincidence or the working of cruel fate, but this is the exact number of soldiers that the British army loses each year because of drug abuse. This is more than the total combat losses of the royal army in Iraq and Afghanistan," the correspondent noted. The report then featured an extract from a BBC news website story saying that the British army loses a whole battalion of troops a year because of drug abuse (Research revealed that the story was published on 14 December 2007). The report went on to look at the wider problem of how to reverse the trend of increasing opium production in Afghanistan. Aleksandr Mikhaylov, the head of the department of interdepartmental and informational activity at the Russian Drugs Control Agency, was shown saying that economic measures to tackle the problem are foundering on local corruption. "The local authorities draw up seriously forged lists in which an amount is recorded for the amount destroyed and, in fact, the crop has not been destroyed at all. The theft of the money to combat narcotics is going on and is flourishing," he said. The accusation that US forces are involved in drug-trafficking came from Geydar Dzhemal, chairman of the Islamic Committee of Russia. "Without the control and connivance on the part of the special services none of these things are possible. For example in Afghanistan, the CIA and the special services are quite brazen. Under the protection of the American army they meet the necessary people. They collect the stuff, go to the Bagram airbase and they hand in a large consignment of narcotics, which is then taken away," he said. The report went on to say that heroin reached the Balkans via Turkey, which "has been a member of NATO since 1952 and is the USA's closest ally in the region". It said it is "another amazing coincidence" that Kosovo hosts the largest NATO base in Europe. The correspondent added that there is a "secret Interpol post" next to this base. "Here they speak almost openly about Afghan heroin in American planes," he noted. A man captioned as Marko Nicovic, Interpol employee, explained that 90 per cent of heroin goes through the Albanian mafia, which is now more powerful than the Sicilian mafia. He also alleged that members of this mafia bribe European parliamentarians to support the independence of Kosovo. The report went on to link high levels of drug crime in Russia with the US invasion of Afghanistan. "Since the Americans unleashed war on the Taleban, Russian crime labs have been working non-stop," the correspondent observed over footage of a drugs raid and packages of drugs being opened. Aleksandr Mikhaylov, the head of the department of interdepartmental and informational activity at the Russian Drugs Control Agency, was shown saying that the production of narcotics in Afghanistan is getting more professional and that drugs have taken a real stranglehold on the Afghan economy. "The situation today is that narcotics have become a substance used for barter in Afghanistan," he observed. "For as long as heroin remains the only hard currency in the country and until NATO and its military coalition do not resolve their own issues, the agricultural proclivities here will hardly change," the correspondent concluded. Soros was behind the funding of the entire Kosovo incident, Clinton was merely a pressured reactionary. Wherever there are poppy plants there are Soros networks. He is likely behind the British Helmand province Drug Running operation where they guard the poppy fields and parachute drop food supplies to the farmers so they can survive and work their asses off. February 10, 2006 -- It's "back to business" for Porter Goss and "his" CIA. Informed intelligence sources report that the CIA's rendition and other "support" aircraft are ferrying around more than "Al Qaeda" suspects and flying spies in and out of remote countries. CIA aircraft operating under the cover of post office box firms and a humanitarian assistance operation are reportedly engaged in flying heroin out of Afghanistan as part of a 1980s-style covert operation to sell drugs for off-the-books operating capital. The narcotics smuggling operation also maintains a presence in Geneva, Switzerland where cash can be easily laundered. A reputed relative of CIA Director Porter Goss (last name is Goss), who is based near Geneva, is reportedly involved in the drug smuggling operation. Sources confirm that Goss has re-engaged a number of CIA assets from the Iran-Contra scandal to participate in the operation. CIA: "Christians In Action" 'missionaries' reportedly involved in Afghan heroin smuggling under Porter Goss's direction. February 13, 2006 -- Goss's "Contraband Import Agency" (CIA) and its "program." 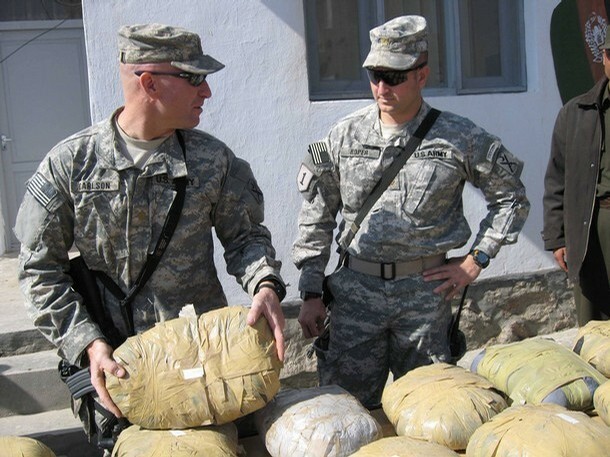 WMR reported on Feb. 10 http://portland.indymedia.org/en/2006/02/333786.shtml that the CIA under the command of Porter Goss is back into the drug smuggling business in Afghanistan. Russian Deputy Prime Minister Sergei Ivanov told a meeting of the Russian-NATO Council that "drugs and arms smuggling are booming and 'dirty cash flows' keep feeding extremist and radicalism in Afghanistan." Ivanov's comments were reported by the Pak Tribune of Pakistan. Ivanov's comments followed the resignation of the CIA's Counter-terrorism Center chief Robert Grenier. Grenier, who held the job for only a year, was reported to have clashed with Goss over the issue of secret prisons, rendition, and torture of "Al Qaeda" prisoners. However, Grenier may have also discovered that CIA contract flights are being used to transport high-grade Afghan heroin from the nation to black markets in Europe (particularly Turkey and Albania) and North America. Grenier reportedly refused to "get with the program" Goss established in the CIA. Goss has reportedly re-engaged Iran-contra operatives who were involved in drug smuggling activities to illegally support the contras and other off-the-books CIA activities in the 1980s. In particular, the CIA drug smuggling activities in Afghanistan are centered on Christian fundamentalist groups, including "aviation ministries," that operated various CIA money laundering fronts in Nicaragua, Honduras, El Salvador, and Guatemala during the contra wars. Some of the CIA contractor "Christian" aviation missionary fronts active in the Afghan drug smuggling operations, including one based in Dallas, have been linked in the past to Pat Robertson's 700 Club's Operation Blessing. "Soros claims that after "having little influence" over Bill Clinton, he now is confident that under Obama "at least I will get a hearing." He complains, however, that "it is difficult to generate the political will" for the nationalization scheme." The CIA , sure, well in modern day US Government the CIA is a rogue entity that the President really answers to at some points because it's a conduit to MI6. Clinton was no angel but he certainly wasn't into Soros' ideals. This site has a pretty detailed analysis . In regards to Yugalosovia, He was the architect of the whole incident without a doubt. -And exactly who did this? -Tendencies, not names are important. Before 2000, Russia was not a significant user of heroin. Its population was too poor and heroin was expensive. Besides, there was no tradition of using heroin. So the main part of "special merchandise"--25-30 tons a year--went to Kosovo Albanians in Europe. You see, it's not that simple to traffic drugs from Afghanistan to Tajikistan, from there to Russia and from Russia to Europe, former Yugoslavia. It took a serious organization with much power and good protection. -You mean special services and the army? - Why necessarily the army? Aga Khan IV Foundation always did this as well. And then not the entire army was involved in this. - What did change after 2000? Oil prices went up. Russia was getting easy money and a large internal market was created. It's easier to get "special merchandise" from Tajikistan to Russia than to move it from Russia to Europe. Monopoly and centralization does not help here. On the contrary, more effective is decentralization, a cell structure based on the multitude of predominantly small and middle-size ethnic societies, Tajik, for example. Besides the Tajik, this business attracted the government circles of Turkmenistan. The country is well located for this: the Caspian Sea, Astrakhan, and Azerbaijan. Afghan heroin comes to Azerbaijan from Iran as well. It used to come from Turkey too before last spring when they closed Batum. I believe it won't stay closed for long. In the end, all this heroin reaches Russia. Our Azeri diaspora is two million strong, the Tajik one million. There are also Gypsies, the worst of them all. In short, there exists a ready retail network for drugs. Nor do they have problems with laundering drug money in Russia. The Moscow construction business alone can take care of this! Approximately in 2002 British MI-6 and DIS (British military intelligence) took control of this drug business. 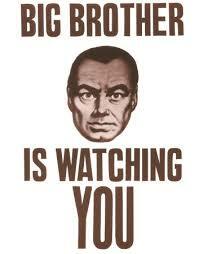 They control it indirectly, of course, but very effectively. - In the end of 2001 the British came to the Kanduz province. It's their zone in Afghanistan. Within the multinational forces they are responsible for drugs control in the entire Afghanistan, not just in their zone in the north. To be more precise, officially they are supposed to fight poppy cultivation. Not the Americans, but the British are responsible for that. They began by flooding with drugs their own country. The use of heroin in Britain went up 1,5 times within one year. And four fifth of all heroin was trafficked through Tajikistan. After that they decided that it was enough for Britain and turned to the Russian market. - They recruited big narcobarons, who were prominent statesmen of Tajikistan and had influence with the Tajik diaspora in Russia. This gave them an established retail network, ties with corrupt elements in police, FSB, and the customs. Besides, they had old ties with some Russians in Tajikistan, in the military and the border service, who are having financial problems after our troops withdrew from Bosnia and Kosovo. Not that they became poor, but before they did not have to count their money and now they do. In other words, these people cannot resist when their old partners in the Tajik elite approach them with "business" proposals. This is a typical commercial recruiting through intermediaries, a traditional British method. -It turns out that the British control drug business in Russia? -Yes, indirectly they control about 70 percent of both whole and retail sales of heroin. They do this through Tajik and Russian citizens, recruited on a commercial basis. -What is to be done? How can we fight this? There must be real struggle against corruption of customs officials and in the law-enforcement agencies. But with the present Russian administration these are pure dreams. However, I believe it is possible to scale down air and rail cargo transportation from Tajikistan, which will be also in the interests of our law-enforcement services. This would make harder large wholesale deliveries. Also something must be done with migration, both legal and not. This would be a blow to the network of drug dealers. In general, we need to cut down the traffic of Afghan heroin to our country by any means possible. Another article, carried from the Moscow daily Rosiyskaya Gazeta reveals that the biggest U.S. Army base abroad since Vietnam, Camp Bondsteel in southern Serbian province of Kosovo-Metohija, runs secret production operations. â€œWe managed to find very little, with the Albanians from the surrounding villages being reluctant and afraid to talk about this. It has been fully confirmed that every nearby Albanian who can work is desperately trying to get a job in the American base. They claim that there is a continuously open job application everyone is clamoring for. Apart from the wages, the successful applicants are promised a green card in United States after only two years of working in Camp Bondsteel,â€� Sergei Zharkih wrote. â€œThe proposed Kosovar political setup is integrated by criminal elements. Western politicians are fully aware of the nature of the Kosovar political project, of which they are the architects. â€œWe are not, however, dealing with the usual links of individual Western politicians to criminal syndicates. The relationship is far more sophisticated. Both the EU and the US are using criminal organizations and criminalized political parties in Kosovo to reach their military and foreign policy goals. The latter in turn support the interests of the oil companies and defense contractors, not to mention the multibillion dollar heroin trade out of Afghanistan. â€œAt the institutional level, the US administration, the EU, NATO and the UN are actually promoting the criminalization of the Kosovar State, which they control. In broad terms we are also dealing with the criminalization of US foreign policy. These criminal organizations and parties are created to ultimately serve US interests in Southern Europe. When he says he had "little infleunce over clinton" it was in reference to his Open Society Policies of cooperating with his Drug Cartels and allowing states to distribute and tax drugs such as Heroin and Crack. This guys ultimate goal is completely insane. He is an admitted Nazi.. Clinton was just a tool and you can't always get a tool to work for everyone. As for the CIA, there is no doubt there are rogue elements not even answering to the Oval Office...... which is unfortunate but obviously true as shown by History (JFK for instance). There is nothing rogue about what the CIA was doing in Albania-Kosovo. Clinton-Bush-CIA-Brown&Root together moved drugs for years and Clinton begins a new Drug trade route. Bush got us into Afganistan to get the product. They even got there player BinLaden to go to Albania to setup the future operation. In the year 2000, CIA intelligence agents admitted to the London Sunday Times to having been training, equipping and supporting KLA fighters as early as 1998 -well before the NATO air strikes began, at the very time when the White House was pretending to be a mediator striving to resolve the conflict in Kosovo. The hypocrisy of the US was clear for all to see. The problem was that this was one isolated article, not a concerted media campaign like the one which demonized Serbs as the new Nazis. Due to Albanian manipulations, sanctioned by the powerful, political elite in this country and heavily underwritten by those such as financier George Soros, who have a vested interest in this little area in the Balkans, there was war in Kosovo, and though the war is over the consequences continue. The NATO bombing was not the only big crime committed. Criminal accountability lays on those who actively and clandestinely supported Albanian criminals and terrorists such as the KLA, the Kosovo Liberation Army, under the guise of humanitarian aid and support of so called â€œfreedom fightersâ€�. Just who were these â€œfreedom fightersâ€� that enjoyed the support of certain American politicians who were influential in dictating U.S. foreign policy? The Kosovo Liberation Army was the armed wing of the Kosovo National Front, a primary agitating force behind independence for Kosovo. That was not their only agenda, however. The Kosovo National Front was one of the most powerful heroin smuggling organizations in the world and throughout their fight with the Serbs over Kosovo, they were diverting the dirty profits from their dirty trade to the KLA "liberators" to buy weapons for the express purpose of killing. Not freedom fighting, but killing and terrorizing. The U.S. State Department officially red-flagged the KLA in 1998. It was listed as an international terrorist organization. The primary charges against the organization were that it had bankrolled its operations with money made from the international heroin trade and from loans given by notorious terrorists like Osama bin Laden, who would become increasingly notorious and helpful to terrorist causes as time went by. A year later, in 1999, when Kosovo exploded on the world stage as a focus of international attention, nothing had changed insofar as the true nature of the KLA. Only then, due to "political expediency," instead of being called the terrorists that they were, they were being called "freedom fightersâ€� and â€œliberatorsâ€�. Dirty money from dirty drug sales on a vast scale financed the weapons used against the Serbs and the Serbian civilians. And our own people, our politicians, most notably Senator Joseph Lieberman, wanted to further augment and subsidize this organization with U.S. money, this after the Serbs had already been bombed mercilessly by NATO at the behest of the Clinton administration. That same month that the bombing of the Serbs began, in March of 1999, it was estimated by "Jane's Intelligence Review" that drug sales alone could have netted the KLA profits in the high tens of millions of dollars. At that same time, this highly regarded British based journal noted that the KLA had rearmed itself for a Spring offensive against the Serbs with drug money, along with donations from Albanians in Western Europe and the United States. Leading intelligence officials also confirmed that the KLA had financed its purchase of weapons in great part with profits earned from drug smuggling, the cash being laundered through banks in Italy, Germany, and the ever accommodating Swiss banks. The KLA, according to these same intelligence reports that our politicians and policy makers didnâ€™t seem to be deterred by, paid for the weapons using the heroin itself as currency. These issues were all exposed at the same time that Senator Lieberman was pushing his â€œKosovo Self-Defense Billâ€� that was intended to give the green light to further arming the KLA. To my knowledge, Senator Lieberman's involvement did not begin with the Kosovo Self-Defense Act of 1999. As far back as 1994, the Senator received at least $10,000 from an Albanian-American PAC and was one of the most vocal proponents of "bombing Serbia," before NATO bombs were ever launched. His determination to see the Serbs bombed would be echoed by the majority of the Clinton administration with fervor. Secretary of State Madeleine Albright seemed to make it her mission in life to see the Serbs â€œpunishedâ€�. Was Senator Liebermanâ€™s â€œKosovo Self-Defense Billâ€� intended to complement NATOâ€™s bombing of the Serbs by giving their enemies an additional gift? This bill was to provide $25 million dollars of the American tax- payer money to equip 10,000 KLA fighters with arms and anti-tank weapons. Our tax-payer money to fund terrorists. Even though you werenâ€™t a Senator back then, what Iâ€™m wondering is would you, Candidate Clinton, have supported this bill? The KLA was ruthless and brutal in its conduct throughout the Kosovo conflict. The KLA did not operate under rules of civility or ethical and humane conduct in war. It did not follow rules. The KLA used its terrorist tactics not only against the innocent Serbian civilian population of Kosovo but against its own Albanian people who did not comply with the KLA program and who were perfectly satisfied to continue living in harmony with their Serbian neighbors. This was the group of people that people like Senator Lieberman who postured daily as a "moral, ethical, and righteous" politician against the excessive violence on television and in childrenâ€™s video games, wanted to arm. 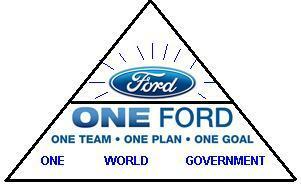 This was the organization whose agenda the Clinton administration served to fulfill. "the hubris of its leadership and the ineptitude of its foreign policy." Not only is America working against its own best interests by fostering a Muslim terrorist base in Europe, it is defeating the very purpose of its Balkan intervention. Ostensibly designed to promote stability in the region, U.S. foreign policy is doing precisely the opposite by its support of the Muslim revolution..."
Funny thing. Change the geographical context and youâ€™d swear that was being said by someone such as yourself about the Bush administration and Iraq today. But no. This was said in direct reference to the policy of the Clinton administration, a policy to which you gave your blessing. Itâ€™s not over yet. Kosovo just may well return to haunt you if you do make it all the way, Candidate Clinton. This is one legacy I would not want to inherit. I see, the DEA has worldwide jurisdiction because international laws are non existent. How convenient.
" With regard to Chechnya, the main rebel leaders Shamil Basayev and Al Khattab were trained and indoctrinated in CIA sponsored camps in Afghanistan and Pakistan. In this regard, the involvement of Pakistan's ISI and its radical Islamic proxies are actually calling the shots in this war. The oil and drug connections were the subject of FTW's story, The Bush-Cheney drug Empire in October, 2000. That story is online at http://www.copvcia.com/stories/previous/bush-cheney-drugs.html. Both Bush and Cheney are oil men. George Bush, Sr. was Vice President and, by virtue of executive Order 12333, in charge of all U.S. intelligence and narcotics operations from 1981 through 1989. As President from 1989 through 1993, he continued and expanded his control in these areas. Thus, it was Bush (the elder) who directly nourished and nurtured bin Laden's evolution. 2008 - Despite a stabilisation in the world drugs market, in June the UN sounded the alarm about the recent surge in drug supply from Afghanistan, which may drive addiction rates up. So there is TOO much supply and they are banking the product. Time to take out the independent cowboy's in the market, these independent Jihad terrorist drug dealers . That is what the DEA's job is in this case. It seems all product must go thru the Americans, Brits and Albanians. From approximately 1990 until January 2005, ESSA was a member of an international heroin trafficking organization led by BAZ MOHAMMAD (the "Baz Mohammad Organization"), an organization that was responsible for manufacturing and transporting hundreds of kilograms of heroin in Afghanistan and Pakistan. 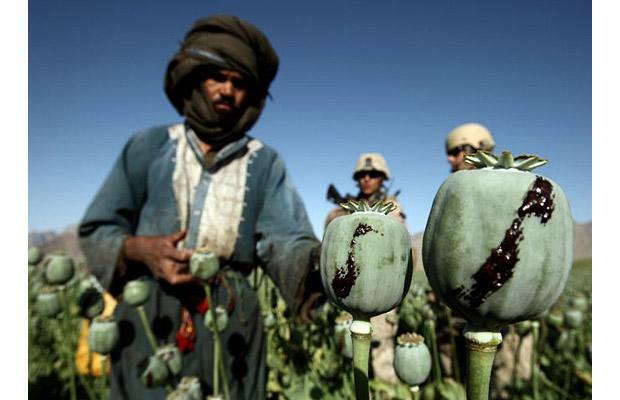 During the course of the conspiracy, the Baz Mohammad Organization controlled opium fields in Afghanistan where poppies were grown and harvested to generate opium. After the opium was harvested, the Baz Mohammad Organization used laboratories in Afghanistan and Pakistan to process the opium into heroin. The Organization then arranged to transport the heroin from Afghanistan into the United States and other countries where it was sold for tens of millions of dollars. 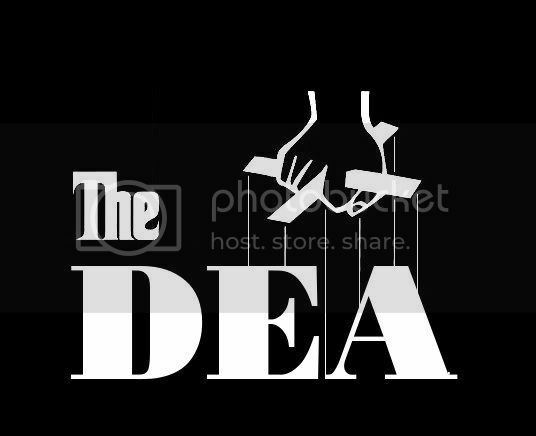 ESSA is one of the co-conspirators alleged to have managed the distribution of heroin by the Baz Mohammad Organization?s operatives in the United States and elsewhere. The Baz Mohammad Organization was closely aligned with the Taliban in Afghanistan, and allegedly provided financial support to the Taliban in Afghanistan. In exchange for this support, the Taliban provided the Baz Mohammad Organization with protection for its opium crops, heroin laboratories, drug-transportation routes, and members and associates. From 1994 through 2000, ESSA and his co-conspirators collected heroin proceeds in the United States for the Taliban. Mr. GARCIA praised the investigative efforts of the New York and New Jersey Field Divisions of the DEA. Mr. GARCIA also commended the work of the New York Organized Crime Drug Enforcement Strike Force, which is comprised of law enforcement agencies including the DEA, New York City Police Department, Immigration and Customs Enforcement, Internal Revenue Service, Federal Bureau of Investigation and the New York State Police. Mr. GARCIA added: "This important arrest reflects our continuing cooperation with law enforcement partners around the world to combat international narcotics trafficking. Our coordinated efforts are vital both because of the harm that drug trafficking causes in the United States and because of the destabilizing influence that drug trafficking has on Afghanistan." "If you want a clear picture of the link between drugs and terrorism, look at MOHAMMAD ESSA," said DEA Administrator TANDY. "ESSA is a terrorist and a trafficker -- as part of the Baz Mohammad trafficking group he supported the insurgency in Afghanistan with drug profits, and helped carry out BAZ MOHAMMAD's ?jihad? against the U.S. by supplying tens of millions of dollars of heroin to our country. An adversary of American democracy, ESSA will now face one of its finest institutions -- the American justice system." The return of ESSA was made possible through the consent and assistance of the Afghan justice officials and the support of the DEA Country Office and the DOJ Senior Federal Prosecutors Program in Kabul. This prosecution is being handled by the International Narcotics Trafficking Unit of the United States Attorney?s Office. Assistant United States Attorneys AMY FINZI and JOCELYN E. STRAUBER are in charge of the prosecution. You see, this is what these people believe. They believe that if the people have access to their own natural resources, they will use them for terrorism. Well, that's one area. They also know that people living in their own local communities with their own little economies will be perfectly happy, and free from the strings of Western taxation slavery. And so, they kill and terrorise those who dare use their own resources. BERLIN â€” NATO will remain within international law when it proceeds with new measures to kill drug traffickers in Afghanistan and bomb drug processing laboratories to deprive the Taliban of its main financing, the allianceâ€™s secretary general said Wednesday. The official, Jaap de Hoop Scheffer, said that â€œa number of buffers and filtersâ€� had been put in place to safeguard the legality of combating what he termed the nexus between the insurgency and narcotics. General Ramms questioned the legality of the proposal, warning that it would violate international law and rules governing armed conflict. General Rammsâ€™s letter was leaked, provoking a debate within NATO about the conditions and circumstances under which troops could attack drug laboratories. KABUL (AP) â€” Two American soldiers died in Afghanistan when a roadside bomb they were trying to defuse exploded, a U.S. spokeswoman said. An Afghan interpreter and a policeman also died in the blast. A group of American soldiers and Afghan officials had been traveling Sunday through the world's largest opium poppy producing region â€” the southern province of Helmand â€” when they discovered the roadside bomb and tried to defuse it, said Kamal Uddin, Helmand's deputy provincial police chief. Two American soldiers died in the blast, said Capt. Elizabeth Mathias. Uddin said an Afghan translator and a police officer also died. Helmand is a stronghold of Taliban militants, who control wide swaths of territory in the province. Helmand has long been the domain of British forces in the 40-nation fight against the Taliban, but the U.S. is expected to send thousands of troops there this year to help battle a militant movement that has grown in strength in the last three years. The top NATO commander said Sunday that operations to attack drug lords and labs in Afghanistan will begin within the next several days in an effort to strike at a key income source for the Taliban. It is our assessment and we believe it is theirs, that there are issues as relates for example to narcotics that present a opportunity for Iran to engage Afghanistan in a way that can address an issue or a concern that we also have about Afghanistan. At the invitation of Dutch Foreign Minister Maxime Verhagen, Secretary of State Hillary Rodham Clinton traveled to the Netherlands to attend the â€œInternational Conference on Afghanistan: A Comprehensive Strategy in a Regional Contextâ€� in The Hague on March 31. Building on the achievements of the conferences held in Bonn, in London, and most recently in Paris last year, The Hague Ministerial should reaffirm the solid and long-term commitment of the international community to supporting the Government of Afghanistan in shaping a better future for Afghanistan and its people. Special Representative to Afghanistan and Pakistan Richard Holbrooke accompanied Secretary Clinton. The ministerial discussion was co-chaired by the Special Representative of the UN Secretary General for Afghanistan Kai Eide, Afghan Foreign â€“ Afghan Minister for Foreign Affairs Spanta, and Foreign Minister Verhagen. While in the Netherlands, Secretary Clinton also had a bilateral meeting with Foreign Minister Verhagen to discuss issues of mutual interest. On April 1, the Secretary joined President Obama as he travels to Europe. Beyond the politics, Clinton offered the reconstruction approach of â€œthe raw material of progress â€“ roads, public institutions, schools, hospitals, irrigation, and agricultureâ€�. Again, nothing unexpected in the rhetoric. And again no specifics: earlier this year, the US Government was thinking that European and NATO partners could take the burden of non-military projects but President Obamaâ€™s declaration last Friday of an expanded US civilian corps indicated that Washington may take the lead. I donâ€™t have an answer. Nor, in my reading, does Washington. The more that one parses the Obama speech of last Friday and the Clinton statement yesterday, the more that it appears that the major objective for the Administration was to have something, anything, before next weekâ€™s NATO gathering. The US is now clearly on its own militarily, and President Obama, for all that charm, will struggle in getting an expanded non-military commitment from European partners outside Kabul. U.S. Secretary of State Hillary Clinton will attend along with representatives from nearly 90 countries including Iran , with which President Barack Obama is seeking to improve ties. A U.S. official said she had no plans for a "substantive" meeting with Iranian representatives, but State Department spokesman Robert Wood said that, " Iran has a role to play. We hope it will be a positive one." Shi'ite Iran cooperated with Washington when the Sunni Taliban were ousted by the U.S.-led invasion in 2001. But it backed off after being branded by former president George W. Bush as part of the "axis of evil." It has not said who it will send to the conference, although Dutch officials have said they expect Iranian representatives.
" Iranian attendance at a big Afghan conference ... is pretty important, there are many ways Iran can help," said Malcolm Chalmers at London's Royal United Services Institute. Afghan President Hamid Karzai , who will also be in The Hague, said on Saturday the plan to include Iran in a regional role was "a positive thing." The so-called "big tent" meeting follows the announcement by Obama on Friday of a new strategy which will combine extra troops, funds for Afghanistan and Pakistan , and a renewed focus on targeting al Qaeda militants on the Afghan/Pakistan border. "The meeting ... reflects the desire to reassess what the goals are and how to achieve them so that we have a strategy that is agreed on by all parties," Anne-Marie Slaughter, U.S. State Department Director of Policy Planning, told the BBC. Organizers stress the conference will focus on regional cooperation rather than seeking extra troops or money for Afghanistan , facing problems of economic under-development and drug production along with the growing Taliban insurgency. "This is not a pledging conference," said Dutch minister of development cooperation, Bert Koenders. "Pledging conferences are maybe the easiest in saying how much money do you want to spend," Koenders said. "The conference will ensure that there is a better political strategy toward Afghanistan ." The U.S. State Department has made clear that Clinton would not be attending with a "list of requirements" but rather seek suggestions. More than 70,000 U.S. and NATO troops are in Afghanistan . On top of a deployment of 17,000 extra U.S. troops to tackle violence before elections due in August, Obama committed another 4,000 last week to train the army. More than 33,000 U.S. troops are currently deployed. At a Paris donors conference in May 2008, more than $20 billion was pledged for a multi-year development effort, but critics said it exposed frustrations both at the inefficiency of the Afghan government and the failure of donors themselves to coordinate their aid. U.S.-Afghan operations have led to the arrests of seven of Afghanistan's most wanted drug lords and revealed the growing involvement of the Taliban in turning opium into heroin and morphine, Pentagon and Drug Enforcement Administration officials said. U.S. and Afghan counternarcotics teams last month demolished a poppy bazaar in the southern Helmand province â€” an open market where traffickers sold seeds to grow top-quality opium and chemicals to turn raw opium into heroin. The raid killed more than 40 Taliban militants in an eight-hour firefight, in which authorities recovered hundreds of suicide vests, rocket-propelled grenades and automatic weapons â€” including Russian-made PKM anti-aircraft weapons, said a senior U.S. official with knowledge of the operation. He asked not to be identified because of the nature of his work. The successful raid, which has not previously been disclosed, and the arrests provide a bit of good news in a complicated struggle against drug trafficking â€” the key source of funding for the Taliban as it gears up to fight a surge of U.S. troops in Afghanistan. Moreover, the Helmand battle demonstrated the importance of Afghan military and civilian police teams working with U.S. Special Forces and the Drug Enforcement Administration (DEA) to combat narcoterrorism, the U.S. official said. Michael Braun, who was the DEA operations chief until late last year, said he could not comment specifically on last month's operation in Helmand, which is considered the opium capital of Afghanistan. But Mr. Braun said experiences in Afghanistan and Colombia "clearly point to the effectiveness of teaming the DEA and host-nation law enforcement with our military." "This is how you fight 21st-century warfare in places like Afghanistan and win," he said. The raid involved Counter Narcotics Police of Afghanistan, DEA's foreign-deployed advisory and support teams and their trainer, the U.S. Army Special Forces. The list, provided by U.S. officials, of Afghan drug kingpins arrested since 2005 includes Bashir Noorzai, described by the State Department as one of five founders of the Taliban governing council, or shura, in Afghanistan. Noorzai, who is scheduled for sentencing on drug charges on April 30, was arrested in 2005 in New York. He was lured there in hopes of a deal and is thought to have offered information to U.S. prosecutors about Mullah Mohammed Omar, the Taliban leader who has been in hiding since the Sept. 11 attacks. Other traffickers arrested include Baz Mohammed, another founder of the Taliban shura, who was extradited by Afghan President Hamid Karzai. He was convicted in 2006 of drug conspiracy charges in the Southern District of New York and sentenced to 15 years in 2007. While Afghanistan remains the world's largest source of opium and heroin, the arrests have provided crucial information about the operations of complex South Asian drug syndicates and the links they have with extremists. Narcotics profits have built a foundation for the Taliban to expand operations into extortion, kidnapping, natural resource smuggling and misappropriation of aid in Afghanistan, U.S. officials say. "In Afghanistan, you can't separate drugs from terrorism," Mr. Braun said. "The drug traffickers are trying to destabilize the government, and it's the same for the terrorists. They all thrive in the same ungoverned space." Mr. Braun, now a managing director of an international security consulting firm that works with U.S. authorities in Afghanistan, said no other illicit activity in Afghanistan "generates the kind of money that drugs produce." The U.N. Office on Drugs and Crime estimates that the Taliban earns $50 million to $70 million a year from taxing Afghan opium farmers and another $200 million to $400 million from processing and selling opiates. The Taliban and al Qaeda use drug profits to purchase weapons and hire recruits, while using trafficking routes to move contraband and militants. U.S. intelligence and DEA officials say the extremists also raise hundreds of millions of dollars annually through kidnapping, extortion and internal corruption â€” all of which puts money intended for rebuilding and humanitarian relief into militant hands. DEA spokesman Rusty Payne said U.S. authorities "partner with the government of Afghanistan to go after these groups, who are directly or indirectly responsible for aiding the Taliban extremists and other terrorist organizations." Mr. Payne said the DEA is planning on bolstering the number of agents in the region this year as part of the Obama administration's new strategy to defeat al Qaeda in Afghanistan and Pakistan. About $20 million for the expansion of DEA operations was part of last year's second "war time supplemental" budget enhancement ordered by the Bush administration. The DEA estimates that 5 percent of Afghan heroin is sold in the United States. Most goes to Europe and Russia or is consumed in South Asia. In an interview in Kabul in December, Army Maj. Gen. Michael Tucker, operations chief for international forces in Afghanistan, said the Afghan Interior Ministry has the main responsibility for reducing opium cultivation. "Our soldiers do not and will not physically eradicate the poppy," he said. "We will not be out there with a sickle cutting down poppy plants." NATO, however, can support the Afghan effort with intelligence, surveillance and reconnaissance capabilities, he said. "If this drug lab produces narcotics that benefit the insurgency, and I can prove it through intelligence, then it is a military target by definition, and I can blow it to smithereens," Gen. Tucker said. "If this person is linked to the nexus, then I can put that person on the 'kill or capture' list." The raid in late March in southern Afghanistan is a case in point, revealing the extent of Taliban involvement in heroin production and its access to sophisticated weaponry. The PKM machine gun, for example, can be used as a light anti-aircraft weapon when it is put on an anti-aircraft mount â€” an ominous capability reminiscent of the Stingers that brought down Soviet helicopters in the 1980s and ultimately turned the tide in that war. 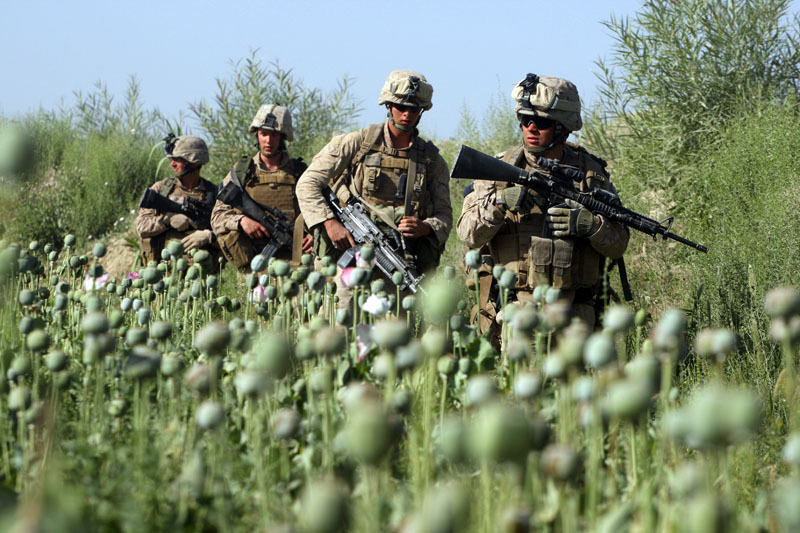 Afghan, U.S. and allied security forces "as they are hitting these [heroin] labs are finding more and more direct involvement of the Taliban with &â€¦ the refining of opium to heroin, heroin to morphine," said the U.S. official with knowledge of last month's operation. FBI spokesman Richard Kolko said his agency works closely with sister agencies in the region and international partners "as a pre-emptive measure, the best way to combat international criminals and terrorists." KANDAHAR, Afghanistan - The acting commander of NATO forces in southern Afghanistan is hopeful of progress in the anti-narcotics offensive in the country that produces the bulk of the world's opium. British Brig.-Gen David Hook told The Canadian Press on Sunday that rural Afghans will be able to abandon poppy cultivation gradually thanks to an expected boost in security and a better market for agricultural crops. He says a military solution plays only a small part in the overall program by the Afghan government, provincial reconstruction teams and coalition troops to reduce the rural population's dependence on poppies. Hook believes that NATO's role is to both ensure farmers plant grains, fruits and vegetables and that they have the infrastructure necessary to make those crops profitable. "The best example is two years ago it took two days to drive from Kandahar to (the Kabul market) because the road was so bad," Hook said. "It's now been resurfaced so you can drive it in six hours." He feels that NATO and Afghan security forces have a head start that will be bolstered by the arrival of the American troops. "We'll be able to extend that security over a larger portion of the population, which will give us greater humanitarian space," he said. "It will allow greater socio-economic development, better governance to grow, and you can see how that gives the local Afghan farmer the opportunity to turn to a legal crop." NATO's anti-narcotics effort are on a positive path , he added. "How far we get down that path is something that's very difficult to judge," Hook said, noting it depended on how quickly the coalition and Afghan security forces and government could establish development programs. "It's not going to be solved in a year," he said. "But I believe we'll have made positive progress by this time next year." Recently, there's been an overall reduction in poppy crops due to weather, eradication efforts, seed distribution programs, a boost in agricultural prices and depressed poppy prices worldwide, he noted. "It's not just a result of what we've done." Still, NATO's anti-drug plan has been more clearly defined, Hook said. "Member countries crystallized their position last year on whether or not they support the anti-narcotics strategy." NATO is only targeting drug trafficking linked directly to the Taliban, the brigadier-general noted, adding that it feeds an estimated $400 million US each year into the insurgency - one of the primary reasons the allied forces want to stamp out its production. Poppy - used in heroin production - is cultivated mostly in southern Afghanistan where Canadian troops are stationed. 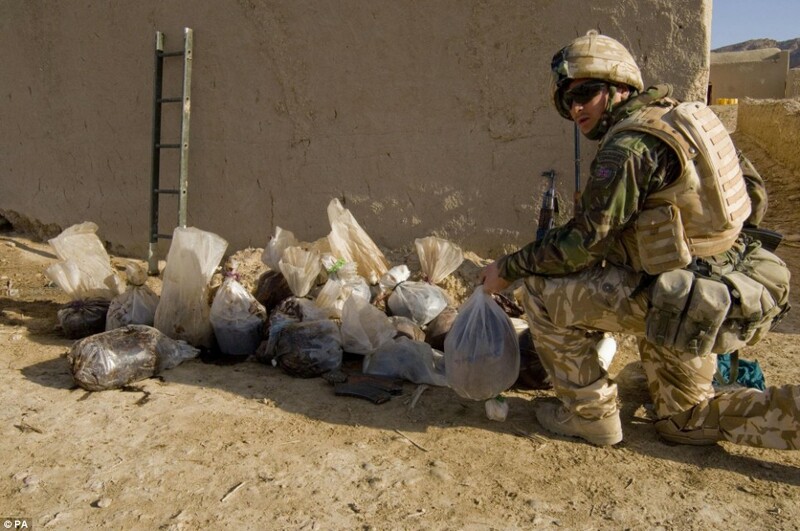 Operation Diesel, a raid by combined British and Afghan forces in the Helmand province last February, netted 1,300 kilograms of raw opium, drug production paraphernalia, and weapons. The Canadian Forces public relations office was unavailable for questions Sunday regarding Canada's role in the anti-narcotics operations. Afghanistan produces 90 per cent of the world's opium, roughly 7,000 tonnes. Some two million Afghans are involved in drug trafficking, according to the Washington Post. About 157,000 hectares of land were given over to poppy farming in 2008, much lower than the 190,000 hectares reported in 2007. Ha!! You always post the best pictures. I BET YOU ANYTHING!! that they use the opium in our foods. Convert it into a 'perservative' and use the addictiveness in their stupid products. Luckily, I only eat organic and NO carbs NO breads NO cereal. The demon Iranians fight heroin from flowing into there country from good U.S./U.K. controlled Afghanistan .... Doesn't this sound like the old British pushing Opium on the Chinese? 20 May 2009 â€“ The top United Nations anti-drug official, on a visit to Tehran, today praised Iran for its efforts to stop the flow of drugs from Afghanistan to the West. Antonio Maria Costa, Executive Director of the UN Office on Drugs and Crime (UNODC) said Iran was â€œholding back a flood of heroinâ€� from Afghanistan, according to a news release. During his visit, Mr. Costa met with the Minister of Foreign Affairs, the Secretary-General of the Drug Control Headquarters and the Minister of Health, and praised the Iranian Government which he said was making â€œa massive sacrificeâ€� in its efforts against drug smuggling. â€œThe anti-narcotics police in Iran are among the best in the world,â€� he said. According to UNODC estimates, most of the opium going from Afghanistan to the West is smuggled via Iran. This amounts to approximately 2,500 tons of opium crossing Iranâ€™s borders every year. Mr. Costa said the Iranian authorities seized about one-third of that amount. Mr. Costa visited a memorial to the more than 3,700 border control officers who have died while defending against well-armed drug traffickers. More than 12,000 others have been injured. â€œThese fallen police officers have given their lives to prevent drugs from poisoning the world, not just Iran,â€� Mr. Costa said. He also visited a drug rehabilitation centre, and spoke with addicts attempting to shake their habits. â€œIran has a major drugs problem, but it is taking the right steps to deal with it,â€� Mr. Costa said. To stem the flow, the Government of Iran has erected over 1,000 kilometres of embankments, canals, trenches, and cement walls along its eastern border, UNODC said. The recent boom in Afghan opium production, propelled by a resurgent Taliban, has had an increasing impact on Iraniansâ€”both young and oldâ€”across the border. Iran has an estimated 3 million drug users and â€œby many accounts, the worldâ€™s worst heroin problem,â€� says Peter Reuter, a drug expert and professor at the University of Maryland. The rise in drug use and smuggling has strained Iranâ€™s police forces and prisons, as well as its economy, and aggravated rifts along the populationâ€™s main fault lines: young versus old, religious versus secular, modernist versus traditional. Drug abuse in Iran often gets overshadowed by other issuesâ€”namely Tehranâ€™s nuclear programâ€”but experts say, if left unchecked, it may leave Iran with large social, demographic, and health problems for generations. The UNODC estimates 60 percent of Afghanistanâ€™s opium is trafficked across Iranâ€™s border (much of it in transit to Europe). Seizures of the narcotic by Iranian authorities in the first half of this year are up 29 percent from the same period last year, according to the countryâ€™s police chief, as reported by Radio Free Europe/Radio Liberty (RFE/RL). Experts say the rise in poppy cultivation in Afghanistan will have some effect on Iranâ€™s opium prices but not a significant one. The Washington Post reports that Iran has the worldâ€™s highest per capita number of opium addicts. After the Bam earthquake in 2003, among the emergency supplies brought in was methadone, a synthetic drug used to treat heroin and morphine addicts. Experts say those affected most are the millions of unemployed Iranians and youth chafing under the restrictions placed on them from the Islamic government and basij, or civilian morals police. Which addictive drugs pose the biggest problem in Iran? Opium has long been the narcotic of choice among Iranians. â€œAt least parts of the [Iranian] population have always used opium the way the West uses alcohol,â€� says Francisco Thoumi, economics professor and expert on the global drug trade at the BogotÃ¡-based Universidad Del Rosario. When opium prices soared after the Taliban cut poppy production in 2000, many Iranian drug users switched to heroin, a slightly cheaper derivative. What steps has Washington taken to curb opium production in Afghanistan? According to the 2001 Bonn Agreement, which laid out Afghanistanâ€™s postwar reconstruction plan, Britain was put in charge of opium eradication. In addition, the United States has provided the Afghan government with public-information campaigns, $135 million per year in financial aid for farmers to grow alternate crops, and technical assistance with eradication programs. In August, a group of Colombian police officers visited Afghanistan on a tour organized by Henry J. Hyde (R-IL), chair of the House International Relations Committee. Hyde has been critical of the Pentagonâ€™s eradication efforts and favors more attacks against drug kingpins, production labs, and trafficking routes.The head of UNODC has also pushed for â€œrobust military actionâ€� from NATO forces to take out poppy farms but NATO has resisted such a role. TRIESTE, Italy â€“ The United States has announced a new drug policy for opium-rich Afghanistan, saying it was phasing out funding for eradication programs while significantly increasing its funding for alternate crop and drug interdiction efforts. The U.S. envoy for Afghanistan, Richard Holbrooke, told The Associated Press on Saturday that eradication programs weren't working and were only driving farmers into the hands of the Taliban. The G-8 ministers "strongly appreciated" the shift, which also includes an increase in annual U.S. funding for agricultural development from a few million dollars to a few hundred million dollars, said Foreign Minister Franco Frattini of Italy, the current G-8 president. Officials at Afghanistan's Interior Ministry and Counternarcotics Ministry could not immediately be reached for comment. Afghanistan is the world's leading source of opium, cultivating 93 percent of the world's heroin-producing crop. The United Nations has estimated the Taliban and other Afghan militants made $50 million to $70 million of last year's opium and heroin trade. The U.N. drug office said in a report this week that opium cultivation dropped 19 percent last year, but was still concentrated in southern provinces where the Taliban insurgency is strongest. The head of the U.N. drug office, Antonio Maria Costa, told the G-8 meeting that the dip in cultivation was welcome "though vulnerable to relapse" without concerted international efforts to assist farmers abandon poppy cultivation to harvest other crops. In addition, law enforcement operations must be increased to disrupt drug markets, production labs and convoys, he said. Holbrooke said the U.S. planned to do just that with its new policy shift. Agriculture was among the issues taken up at the G-8 meeting on Saturday, with participants saying in their final statement that agricultural development was "key to the future of Afghanistan and Pakistan, as well as other countries in the region." "Moreover, food insecurity and chronic poverty are root causes of civil instability and forced migration," it said in calling for expanded international cooperation in agriculture to boost employment and incomes and provide farmers with alternatives to poppy production. Holbrooke said the international community wasn't trying to target Afghan farmers in its policies, just the Taliban militants who buy their crops. "The farmers are not our enemy, they're just growing a crop to make a living," he said. "It's the drug system. So the U.S. policy was driving people into the hands of the Taliban." Costa urged the international community to put the same amount of economic emphasis on boosting the agricultural sector that it puts on combatting the Taliban insurgency militarily. "If this can be done, I believe that â€” and I'm optimistic â€” that the Afghan opium situation will improve dramatically," he said. The shift in U.S. policy follows a steady decrease in the number of hectares (acres) destroyed by eradication programs. According to the U.N. report, opium poppy eradication reached a high in 2003, after the Taliban were ousted from power, with over 21,000 hectares (51,900 acres) eradicated. In 2008, only 5,480 hectares (13,500 acres) were cut down compared with 19,047 hectares (47,000 acres) in 2007. Costa said Afghan opium would kill 100,000 people this year in the parts of world where demand for heroin is highest: Europe, Russia and West Asia. To fight it, he said major powers had to expand their counter-drug efforts to neighboring Pakistan as well as Iran, where half the 7,000 tons of exported Afghan opium transits, "causing the highest addiction rate in the world." "Facing a grave health epidemic, Iran should be given the chance to engage in common efforts to combat illicit trafficking," he said. Iran had been invited to attend the G-8 meeting on Afghanistan, because anti-drug efforts in Afghanistan have been identified as a key area where the United States and Iran can work together â€” part of President Barack Obama's outreach effort. But Italy withdrew the invitation after Iran failed to respond and after its bloody postelection crackdown on protesters, which has sparked international condemnation. I was always against destroying innocent opium plants in Afghanistan. Now if only the policy can be transferred to North America so that the cultivation of opium poppy plants and marijuana plants will be legal!!! There should be no laws against the cultivation of any plant! if the goal is to eradicate poppies, then we should fund the Taliban since they basically stamped out production prior to the US invasion. Right in blossom season, what a coincidence!! Good job CIA, getting people supporting your war for drugs. What? Blood on your hands? Really? There should be no laws against the cultivation of any plant!